The 10th anniversary celebrations for the LEGO® Creator Modular Buildings continues. 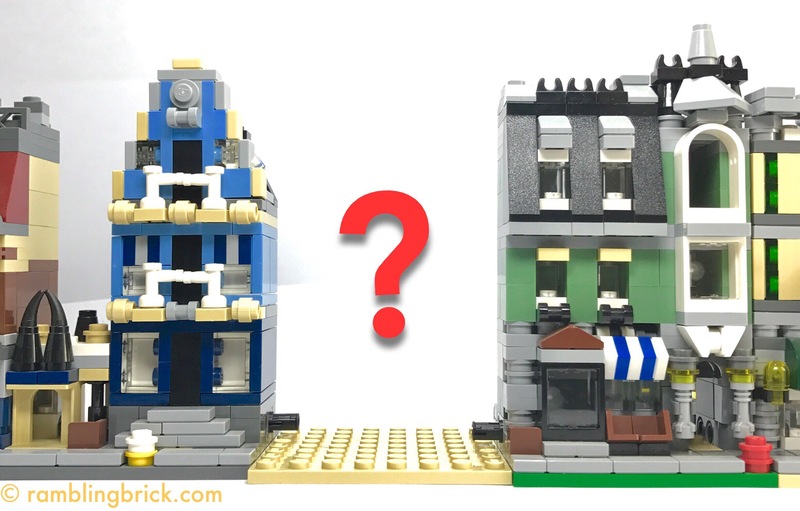 LEGOrebrick have just announced an opportunity to win EVERY MODULAR BUILDING SET EVER( released at time of contest)! This includes: Cafe Corner 10182, Market Street 10190, Green Grocer 10185, Fire Station 10197, Grand Emporium 10211, Pet Shop 10218, Town Hall 10224, Palace Cinema 10232, Parisian Restaurant 10243 , Detective’s Office 10246, Brick Bank 10251 and Assembly Square 10255. And also the Mini Modular set 10230. This contest will NOT be made available through the front page of Rebrick, but only through the link provided by Recognised Lego® User Groups (RLUGs) and Recognised LEGO® Fan Media (RLFM) sites for their members and readers.